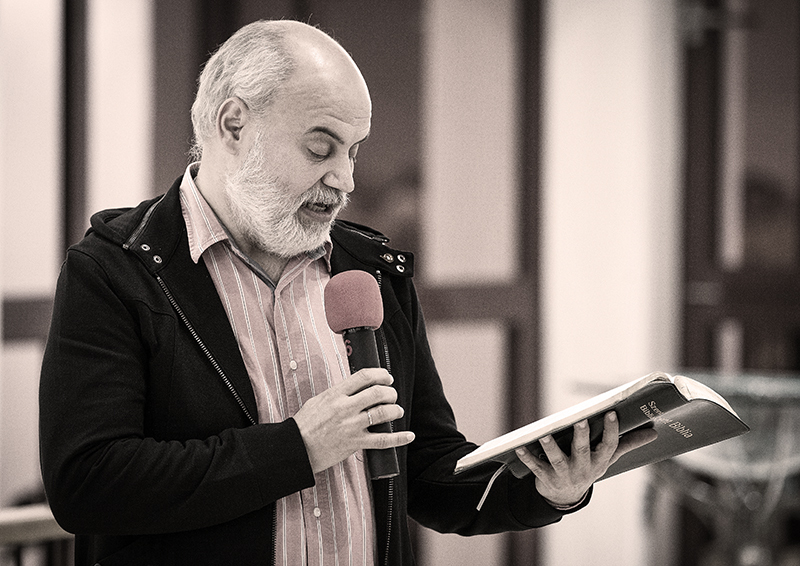 Sándor Szenczy is a Baptist pastor and the President of Hungarian Baptist Aid (HBAid). He was born in 1965 in Sajószentpéter. When he turned fourteen his parents got divorced and he moved out from home. In this period of time he got involved in affairs with the police, abused drugs and alcohol. The only reason that he was not kicked out from school was that he was one of the best chess players in Hungary. He joined underground gangs and lived in abandoned train wagons and uninhabited flats. This lifestyle ended after conscription. After he was placed to a locator station and was left there alone for 49 days, God found him through an anonymous caller on the secret military phone line. He was confronted by the truths of the Bible and after his demobilization from the army, he said his first prayer. He wasn’t the same person anymore. After studying at the Reformed Seminary for three years, he finished his studies at the Baptist Theological Academy. In 1994, he started pastoring a church of ten members in Velence, but after a couple of years a hundred more people joined them. Right now he is pastoring the Baptist Church of Verőce. Sándor founded HBAid in 1996, which is now the 5th largest humanitarian organization in Hungary, and is present in several continents. With his family, he lived and helped in Kosovo, Vietnam, Jordan, Sri Lanka and Cambodia. He rather travels alone to crisis zones. He is glad to say that he and his family serve the Lord. He is married to Katalin. They have 5 children and 2 grandchildren.